LWFR Auxiliary does it again……………. 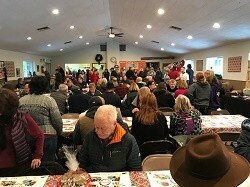 The 2018 version of Lake Wenatchee Fire & Rescue Auxiliary’s annual pancake breakfast, bazaar, basket raffle and Santa house was another success, building on the great tradition of many years. Nearly 350 breakfasts were served, 55 kids visited Santa and about $8,400 raised to provide equipment and training materials to firefighters. 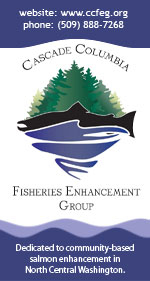 Thanks to the community for making this another great event! 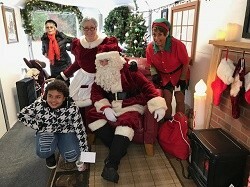 Pictured: Plain resident Lele visits Santa, Mrs Klaus, the Elf and their helper Pam Mullens. Some comments were heard that Santa and his entourage had a strong resemblance to Jim Passage, Marci Scott and Jerry Jennings. Please share LWFR Auxiliary does it again…………….